Beautifully styled, the Renoir Dining Chair Black and White has a contrasting seat design that will catch the eye when placed around your dining table. Brilliant and bold in its appearance, the Renoir is a stylish item with a marvellous modern feel to it. 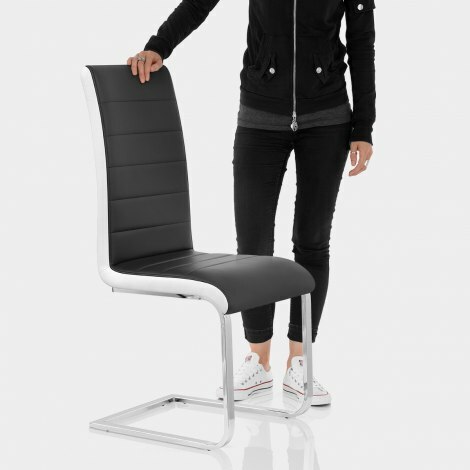 Covered in soft faux leather, the black on the seat is stitched into a quilted design that accentuates the comfortable foam padding below, with white faux leather on the sides picking out the undulating profile. 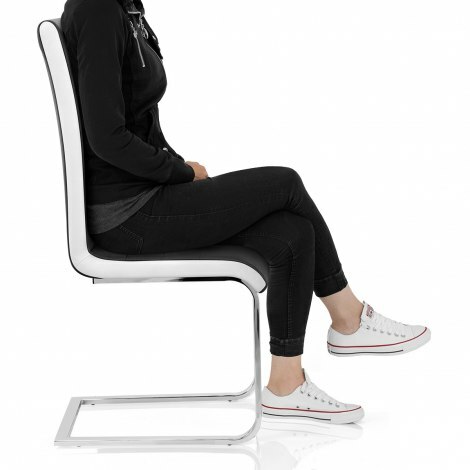 Meanwhile, a tall backrest at the rear that supports your and back flows into the frame. The chromed frame is formed of a single steel bar that adds stability and protects your floors courtesy of the scratch resistant pads beneath. "Lovely chairs, look nice and very comfortable"
I brought these chairs a couple of years ago and they were great, I recently brought a new dining table and needed an extra two chairs hoping I still could get them and I did, fantastic service and great quality chairs, will purchase again from Atlantic Shopping..
Great delivery and chairs live up to expectations. Very sturdy and look fab. Company very efficient - have bought from them before. Thank you Atlantic shopping. Delivered on time. Well packaged even chair frame is well protected. Easy to assemble although the Allen key kept slipping out of nut head but got round that issue. Really very smart bought 2 of these and 2 White & Black. Family who have seen them loved them. Excellent quality dining chair. Heavy weight, well built. 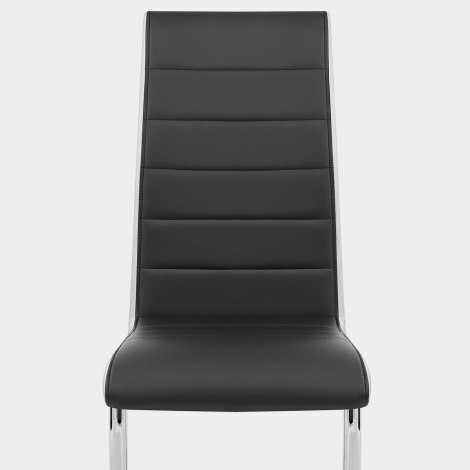 Very smart black with white sides and cantilever style leg. Well packaged and quick delivery.